Last year's announcement of the largest residential blight removal program in the state's history was met with the anticipation of job creation for some of the state's most economically depressed urban areas. The program allowed the Michigan State Housing Development Authority (MSHDA) to use $100 million of its federal Hardest Hit Fund (HHF) allocation for blight elimination in Detroit, Flint, Saginaw, Grand Rapids and Pontiac – giving the lion share, $52 million, to Detroit for the management of nearly 80,000 Detroit Land Bank Authority-owned properties. While demolition will make up the lion's share of the city's blight elimination efforts, Mayor Duggan and the Detroit Blight Authority (DBA) are pushing to ensure that deconstruction plays a mainstream role. For the layman, deconstruction is an alternative strategy to demolition that diverts building waste from landfills through strategic salvage and reuse of materials. When Hardest Hit funds were first made available, the program's recognized definition of 'building removal' did not include language that allowed for deconstruction, so there has been some delay getting the deconstruction effort off the ground. However, as of this summer, the DBA has been approved to release RFPs for deconstruction pilot projects. "We made the case to our funders (HHF and MSHDA) that this was something worth exploring," says Brian Farkas, executive director of the DBA. "It's environmentally friendly and it achieves the goals that we all want to see happen -- we want to see Detroiters put to work and we want to see the material heading to the landfill to decrease." With the early promise of nearly 3,000 jobs coming available to meet the pace of blight removal under the program, area training centers mobilized, developing new or reinforcing existing programs that could prepare students for careers in both demolition and deconstruction. 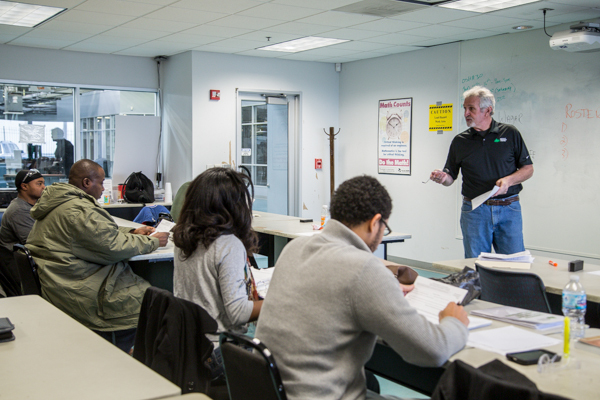 Detroit Training Center (DTC) is one such training program, partnering with a number of local employment agencies, including Michigan Works, Focus:HOPE, Southwest Solutions, and Access. These agencies find candidates who are displaced from the workforce and out of work, and DTC chooses the hardest to employ for their programs. "We created a blight program that was geared towards removing the hazardous waste and environmental toxins from the home before they're either demolished or deconstructed," says Marcus Jones, director of DTC. "We're getting our students ready for the workforce whether the city takes the deconstruction route or the traditional demolition route." The program covers lead abatement, asbestos abatement, lead renovation, and repair. The students also learn how to use equipment. "We give our students these skills in the blight removal industries so that they can take advantage of the current opportunities that exist," says Jones. The blight program has graduated 29 students so far, with about half finding work in demolition and the rest finding work in a related construction trade -- so far none have been hired specifically for deconstruction. Reclaim Detroit, an approved deconstruction contractor with the city, is another program training workers to meet the needs of the blight removal efforts. Their training program has been operational for 3 years and focuses on getting students out of the classroom and into the field. 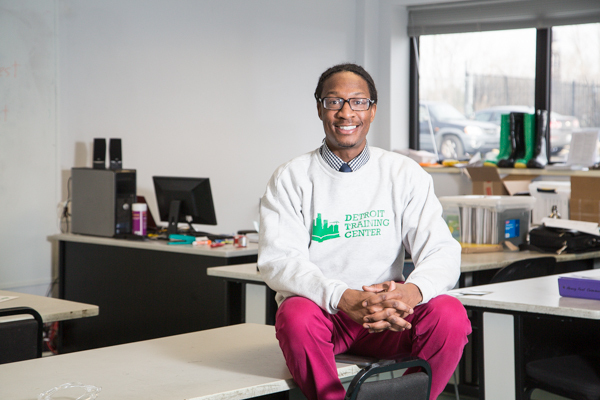 As of March of this year, Reclaim Detroit had ramped up efforts to train over 300 students in deconstruction in anticipation of the blight elimination effort, but jobs specializing in deconstruction have been slow to come online in Detroit. Pontiac and other smaller cities have seen a recent influx of deconstruction activity. Reclaim Detroit's crews are currently working on two contracts in Pontiac and deconstructing a total of 43 houses -- an effort that is keeping 14 existing staff members busy, though the organization has not needed to hire additional workers for the effort. Pontiac was allocated $3.7 million of the Hardest Hit Fund distribution and has targeted 550 homes in need of removal. By contrast, Detroit has only awarded one contract for 10 houses of the 2,368 that have come down so far, and released its second contract just last week for 10 more. "Detroit is getting all the attention, but when you look at what's happening on the ground, if you were to scale it, there's not as much happening in Detroit compared to smaller cities like Flint and Pontiac," say Jones. "We're actually seeing more demand in these smaller cities for deconstruction. Detroit just hasn't gotten there yet." That's not to say it's not the goal. "The DBA is fully committed to deconstruction as one of the aspects of blight removal," says Farkas. "Demolition is always going to play a role; the scale that we're dealing with is unprecedented across the country. But this is a huge opportunity to employ Detroiters, which is something we're absolutely obsessed with." The DBA is hoping to learn as much as they can about deconstruction through their pilot programs so that they can scale the effort in Detroit next year. The focus is on a hybrid approach called skimming in which deconstruction crews do a 1 to 3 day skim of the property to remove salable materials before a demolition crew brings down the structure. This is the most economical approach to deconstruction right now. "We want to make deconstruction mainstream, but we're also keeping the price under control and reflecting that we want jobs to go to Detroiters," says Farkas. To stimulate consistent demand for the materials, the DBA plans to streamline the supply side by opening a central retail hub for deconstructed building materials. The hub is about a year away from opening. The setup is yet to be determined but would ideally be a space with plenty of room for business incubation. The hope is that the hub will be the central clearing house for all of the material that is pulled from the houses. The DBA plans to scale deconstruction efforts once the hub is operational, but more pilot contracts will continue to be released, and likely at a greater frequency. 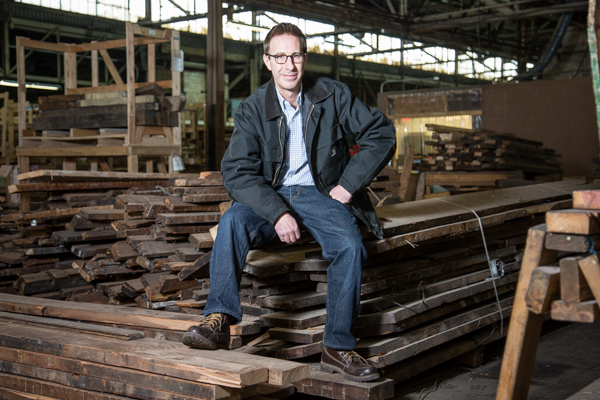 "Chicago has a thriving reclamation market, and there's no reason Detroit can't," says Farkas. "There's absolutely no reason why Detroit, with everything we've done in our collective history, can't be one of the national leaders in deconstruction, like we are in so many other things -- we invented mass assembly, we can create mass dis-assembly." "We are ready," says Jones. "We have folks that are ready to go to work." There's only one thing left to say: show us the contracts. Amy Swift is a Detroit-based freelance writer and the principal of Building Hugger. Follow her on Twitter @buildinghugger. 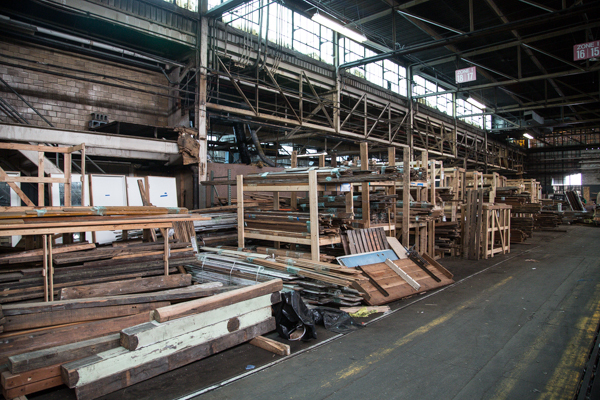 Read her recent story about the demand for reclaimed materials from deconstructed houses here.